At Grace Dental Group, we utilise the latest technology and techniques to bring you the most efficient and successful treatment results. By being gentle and understanding of each patient’s dental concern and desired outcome, we can provide you with superior quality of care, treatment and results. Our caring and friendly staff will make sure to take care of you and your family! Advancements in technology means there is no “one way” for orthodontic treatment. This refers to clear aligners that you wear all day and night (except for eating) to correct crowded teeth. Whilst the most undetectable, they are also the slowest method of orthodontic treatment. This method of orthodontic treatment is very similar to traditional braces but is a bit more “invisible” and not as noticeable due to the ceramic braces. This method is faster than clear aligners. This method is the fastest of all orthodontic treatment methods and consists of mini metal brackets and regular appointments to align even the most crowded teeth into a nice straight smile. Depending on what age you are in life, there may be different orthodontic treatment required. For children, it is quite important for them to be assessed for orthodontic treatment at an early age (usually starting between 8-10 years of age). The assessment will help the dentist pinpoint any developing bite or jaw problems. Having the assessments earlier rather than later means that any potential jaw or bite problems can be treated at an earlier and less severe stage, which ultimately prevents it from getting worse or developing into a more complex issue in the future. A narrow upper jaw shows symptoms through crowded front teeth. Treatment for this dental issue may be an upper expander. If you notice that your child frequently breathes through their mouth as they have a blocked nose, the expander can help this issue too. Many parents report that their child is better able to breathe through their nose after having an expander. If you notice that your child has difficulty closing their lips together or that their lower lip falls behind the upper front teeth, they may have a small lower jaw/chin. An underbite is when the lower front teeth protrude further than the upper front teeth. This is one of the most important reasons to commence early orthodontic treatment, as issues such as these when left untreated can result in the need for surgery in the future. By the age of 12 to 13, most people will have all their adult teeth erupted, as well as any problems such as bite issues or gaps in teeth being obvious. At this stage of growth, orthodontic treatment is focused on the positioning of the teeth, whereas in children the focus is primarily on the growth and positioning of the jaw. Orthodontic treatment at this age helps to correct tooth positioning, in order to improve the look of the patient’s smile and creating a stronger foundation for future oral health. By eliminating gaps and crowding, brushing and maintaining oral health becomes much easier. Did you know that 62% of Australian adults said they would consider orthodontic treatment? It’s not only for children or teens! Over the last five years, there have been a significant increase in the number of adults who are starting orthodontic treatment. Some of the reasons adults are preferring orthodontic treatment include confidence in their smile, upcoming special event and better oral health. 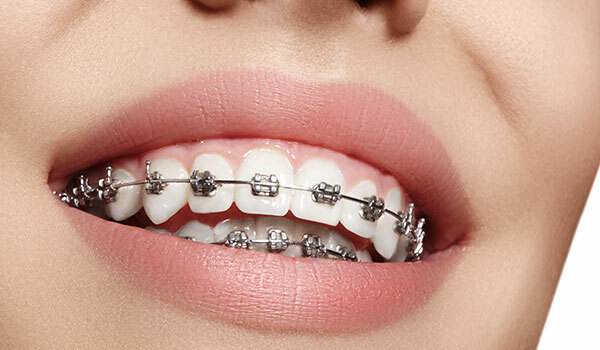 There are now many different types of orthodontic treatment available. 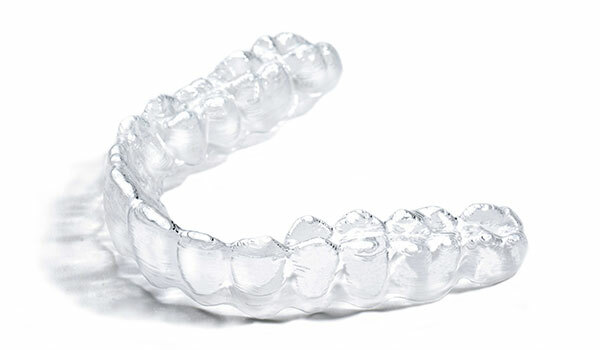 For adults who don’t want traditional metal braces, you can also opt for clear aligners or even ceramic braces. For some adults, due to untreated dental issues in early years, jaw issues may require surgical intervention for correction. This surgery (if needed) can improve chewing, speaking and breathing, and corrects a wide range of dental irregularities such as misalignment of jaws and teeth. As with all dental concerns and issues, it is always best to come in for a consultation for a full oral assessment. At this appointment, we will be able to help you decide on the best dental treatment for your concerns and desired outcomes. Together, we can help you achieve your best and brightest smile!